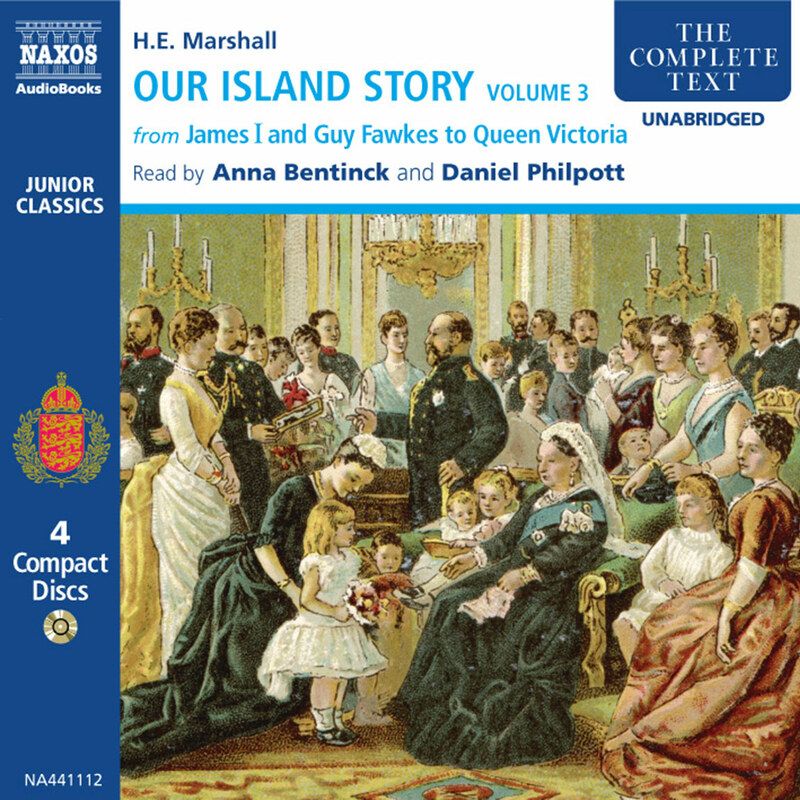 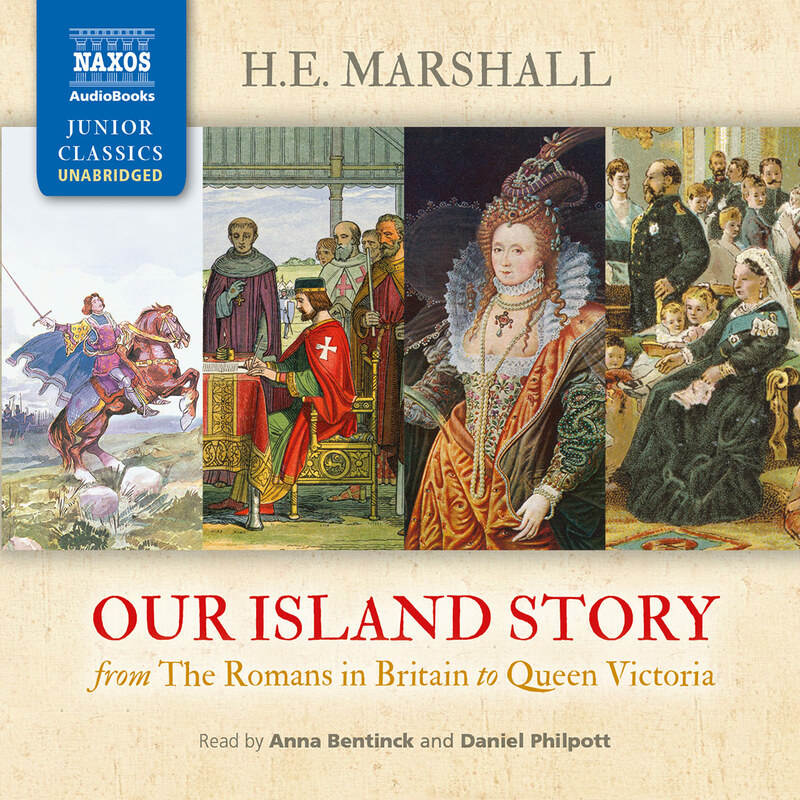 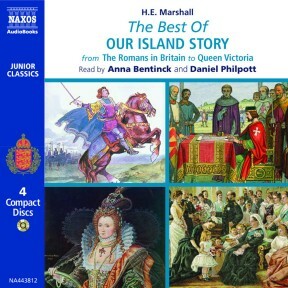 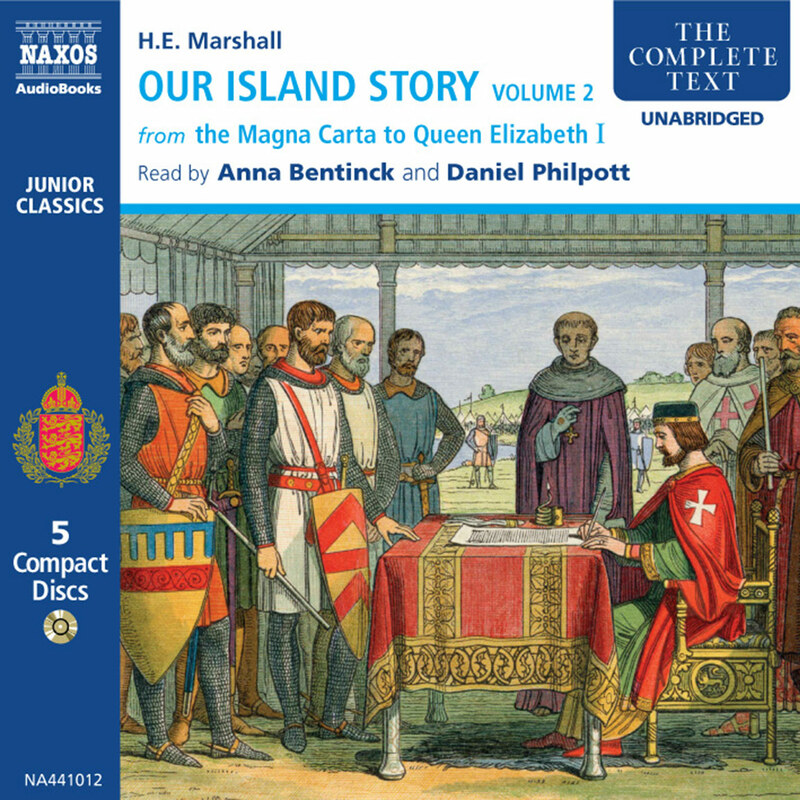 Our Island Story by H. E. Marshall is an Edwardian history book for younger listeners (aged six–twelve years old) which tells the story of England, concluding with the reign of Queen Victoria. 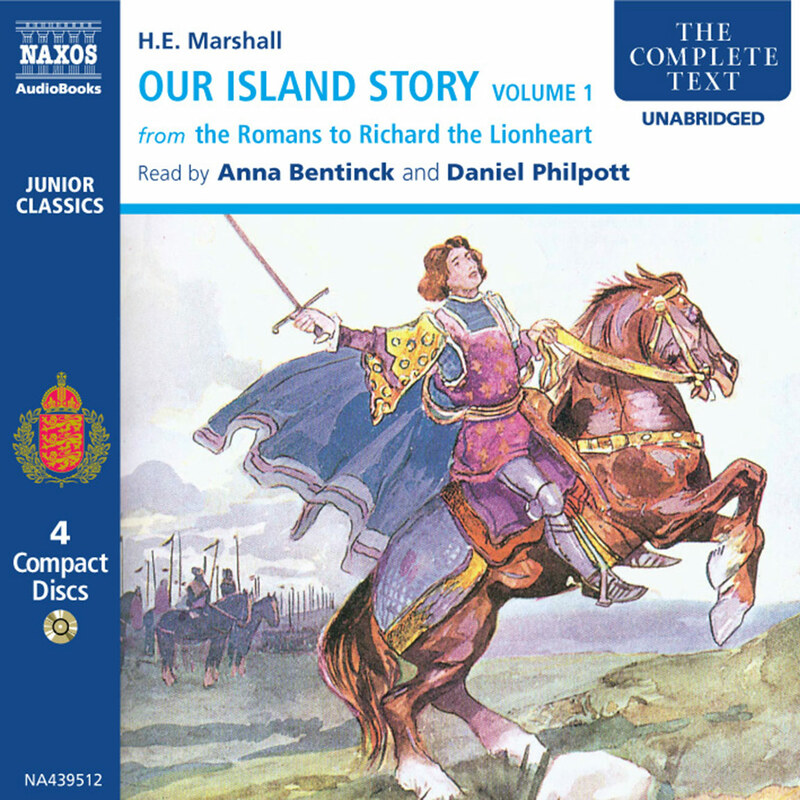 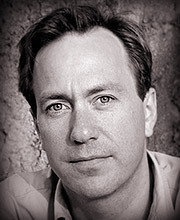 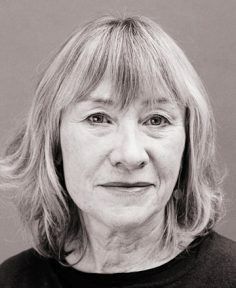 Having released it unabridged in three volumes, Naxos AudioBooks now offers an attractive collection of the main stories and personalities. 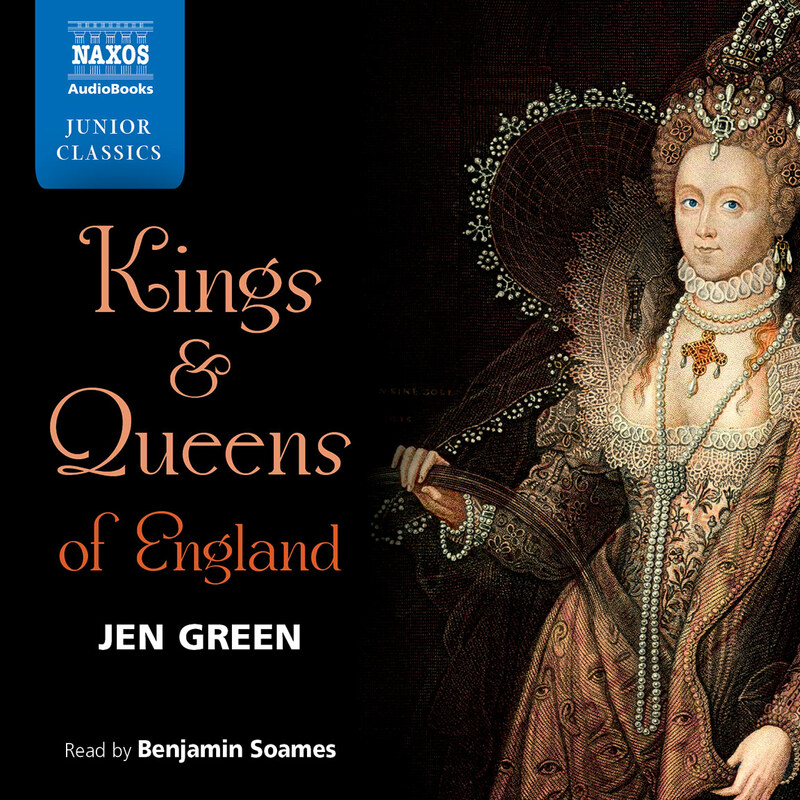 This skilful abridgement nevertheless maintains the narrative of British history, from the arrival of Julius Caesar to the height of the British Empire and the long reign of Queen Victoria.